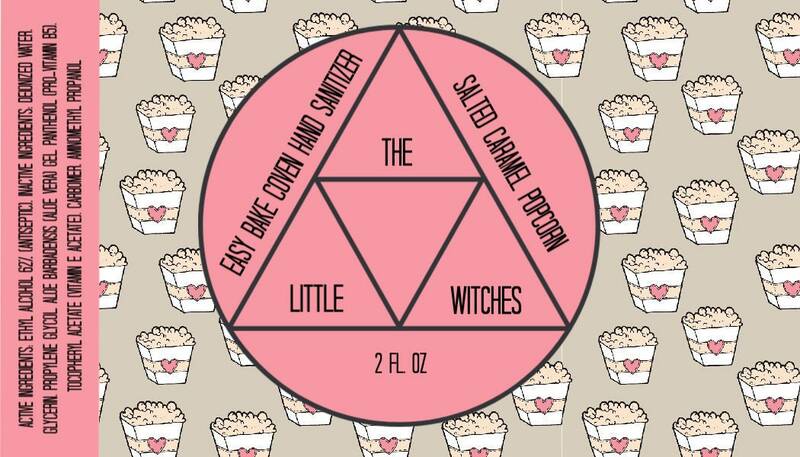 Easy Bake Coven Hand Sanitizer "Salted Caramel Popcorn"
Everyone knows that the only good thing to eliminate this holiday season are germs! eeeeeewww! Sneeze and cough into your elbow people! If you find yourself stuck in a sticky situation though, this mortician got you covered! This listing is for my hand sanitizer in the scent of Salted Caramel Popcorn. I omitted the clever name as I put this in my Easy Bake Coven sections which are all my yummy delicious baked goods scents. And, I'll be honest, this is a surprise hit with my nose and tummy. Why is it so good?! It should be weird but it's incredible!! It smells like delightful salty & sweet caramel popcorn with notes of fresh-popped corn kernels, rum nuances, buttery caramelized sugar, creamy vanilla, sea salt, and salty & spicy drizzled maple. YUUUUM!